Summer hats are a great way to accessorise your outfits while keeping you cool and protecting your face from the sun. I have picked out a few of my favourite hats for this season. This open top hat with an animal print scarf attached adds instant glamour to any outfit. In addition it creates a protective shade over the face. 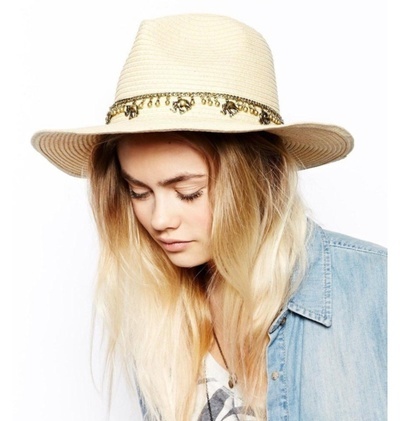 This hat is £16 from River Island. 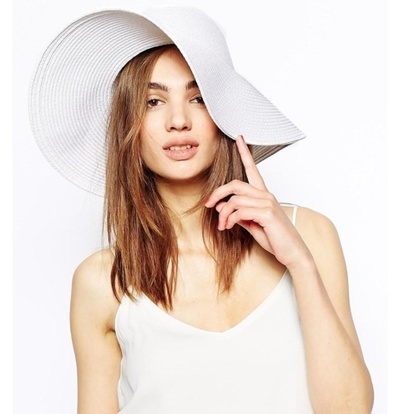 This white brim summer hat is ideal to team with a sun dress for a picnic in the park. The light and airy material will keep you both cool and shaded. Also a holiday favourite! For day wear with an urban twist this 90's influenced aztec cap is the head wear to reach for. Available from Asos.com for £32. An elephant charm trimmed fedora is a great twist on the classic. Great for a laid back indie look. Available on Asos for £18. 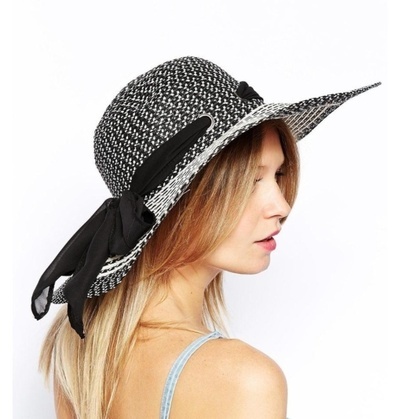 This floppy bow hat is both feminine and romantic. It would look great with a maxi. By Oasis at £20.